Wisconsin Landlord Tenant Law is provided in Wisconsin Statutes, Chapter 704 Landlord and Tenant. Other landlord tenant laws are provided in Chapter ATCP 134, Residential Rental Practices. Wisconsin Landlord Tenant Laws defines terms, sets forth the rights and responsibilities of the parties in a landlord tenant relationship and provides legal remedies for violations of Wisconsin Landlord Tenant Laws. Stay up to date on Wisconsin Landlord Tenant Laws + Save money on tenant screening and other property management needs. Join AAOA today, it’s FREE! Petrie + Stocking is the leading landlord tenant law firm in Wisconsin. In addition, residential and commercial property owners rely on us for assistance with a variety of other real estate legal challenges. If you’re about to start or in the midst of a purchase, planning a development, or having an issue with a tenant, you can turn to the attorneys of Petrie + Stocking for experienced counsel and outstanding service. Click here to contact us or click here to read our landlord tenant law blog. No part of the Wisconsin Landlord Tenant Law found on this website is a substitute for legal advice. If you have questions or believe you have a legal case under Wisconsin Landlord Tenant Law, you should contact an attorney. The legal information on the AAOA website was not provided by Petrie + Stocking. There are no statutory limits on the amount of the security deposit under Wisconsin Landlord Tenant Laws; however, the landlord must return the deposit to the tenant within 21 days of termination of the tenancy. If a tenant is approved and does not move in to the property, the landlord does not have to return the deposit. Wisconsin Landlord Tenant Law provides that the landlord can withhold an amount from the security deposit that is equal to damages caused by the tenant and any past due rent amount. Landlords cannot deduct the cost of normal wear and tear from a tenant’s security deposit. Retaliatory eviction – ATCP 134.09 (5) Landlords are not permitted to terminate a tenancy, prevent the automatic renewal of a lease, or constructively evict a tenant by any means including the termination or heat, water or electricity in retaliation against a tenant who reports the landlord for housing code violations, joins a tenant association or who asserts or attempts to assert their rights under any state or local law. Domestic Abuse Protections – 704.14 Landlords are not permitted to evict a tenant solely because the tenant is a domestic violence, sexual assault or stalking victim. However, the tenant can still face eviction for other violations such as non-payment of rent. Wisconsin Landlord Tenant Laws protect you and your property but also the rights of tenants. Gain the confidence that you are renting to the best applicants with Wisconsin Tenant Screening and that you are further protecting yourself with crucial Wisconsin Landlord Tenant Forms. A key component of landlord tenant laws is also Wisconsin Tenant Screening Background Checks. We’ve dedicated an entire page to it because of its importance. Visit Wisconsin Tenant Screening Background Checks to screen your tenant. All states require a variety of forms to rent an apartment to a tenant and Wisconsin is no exception. Check out American Apartment Owners Association’s Wisconsin Landlord Forms now. 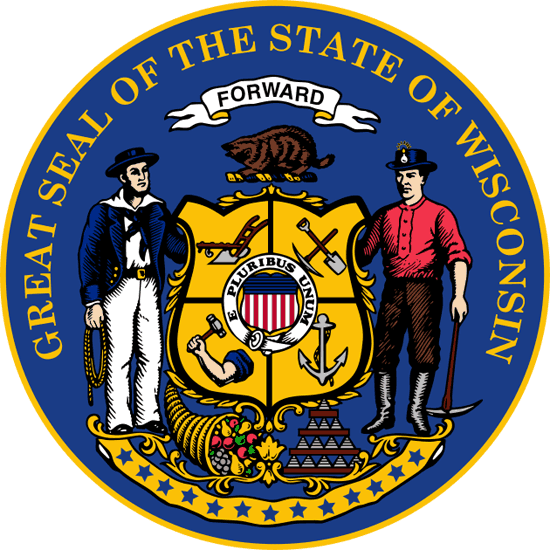 Looking for landlord tenant laws outside of Wisconsin? The American Apartment Owners Association offers helpful landlord tenant laws for all 50 states. Click on any of the states listed below and go directly to its landlord tenant law page. To visit the homepage of landlord tenant laws, click here.